Iranian President Hassan Rouhani in a speech broadcast live today, spoke out against a recent wave of arrests by the IRGC Intelligence department aimed at crippling U.S. influence in the country. Five activists and journalists have been arrested in recent days by the secretive intelligence unit. After the approval of the nuclear agreement, JCPOA, Iran’s Supreme Leader Ayatollah Khamenei has repeatedly warned against what he calls attempts by U.S. and other Western powers to “infiltrate” the country and “spread their influence.” Since the speeches began, IRGC Intelligence has arrested the five journalists. A spokesman for the intelligence unit has appeared on live TV to accuse the journalists to have worked, some “unwittingly,” for the CIA. 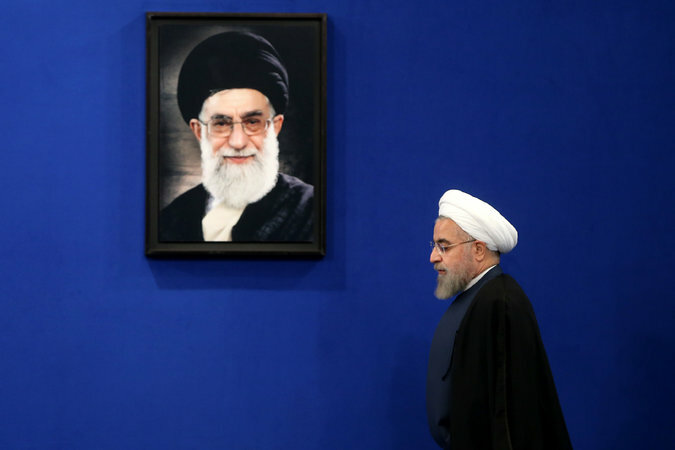 Rouhani says the hardliners “misuse” Khamenei’s words “to detain and frighten opponents.” Iran will hold elections for the Majlis and the Assembly of Experts in late February. Accusing personalities associated with the camp of being the “infiltrating” agents of the U.S. would help the hardliners to disqualify moderate candidates from running in the elections. In his speech, Rouhani also accused hardline media outlets of acting as “undercover police” and said, “they even tell their audience who is going to be arrested tomorrow.” He added the main hardline outlets are receiving official protection while making accusations against their political rivals. Hold elections? Please don't make us laugh. Yeah no, nothing says elections like a royal Pahlavi decree. http://www.liveleak.com/view?i=40a_1447106321 --- Turkish civil unrest in Iran (possible "Iranian spring" coming) ? These are selections not "elections" like they want you to believe.Just think for one minute,who voted Khameini to rule for life as a dictator? Can any president in Iran move a glass of water without supreme leaders decree? Of course not. That site is pan turkist. Azeri people are Iranian.Besides the Islamic regime is causing these problems with their constant diatribes towards other ethnic Iranians.Maybe the Akhoonds can see the writing on the wall therefore they are fermenting these problems to divide and rule Iranians?